Welcome to Innovation Academy's "Scrip" program! Beginning in November through the beginning of December, you can order gift cards for yourself, family and friends, teachers AND help support your school! HUNDREDS of gift cards and participating vendors are available. The order form is attached to this e-mail. We are very excited to be bringing Scrips to you! 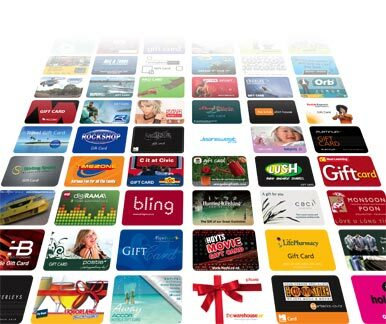 Are you interested in buying Gift Cards for every day purchases or gifts. If you are, and would like to help out the IACA, please order your Gift Cards through us. Let us save you the trip to the mall to pick them up. With IACA you can do all your shopping at once! It is so simple! This year we will be ordering Gift Cards every month. Purchase your gas, food or presents as gift cards from us and help support IACA! - Look for the green box that says: Family Sign up and click on “create an account”. - Fill out the required information and accept the terms. - Once you log in, you can start ordering by clicking on the “Shop” tab at the top of the page. Here you can shop by category or input specific retailers. - Check out the stores that are listed. Can’t find the store you are looking for, check out the complete list of stores at www.glscrip.com and add them to the bottom of the order form. 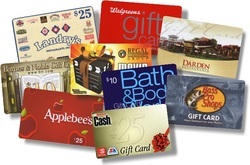 - Select the store, denomination and quantity for your Gift Cards. - Fill out the order form. - Add only $1.00 to your total for shipping. - Please choose if you want the Cards to be sent home with your child or if you will pick them up at school. - Send in a check payable to the IACA or cash for the total order. PrestoPay is a convenient way for you to pay your organization for your order on-line, at the time you place your order. With PrestoPay your payment will be electronically deducted from your checking account, and GLSC will accept your payment on behalf of your non-profit organization. Once you have successfully enrolled, and verified your bank account information, you will have the option of paying for your order with PrestoPay. When you choose PrestoPay, GLSC will debit your bank account for the amount of your order plus a small convenience fee of $0.39 on the day you place your order. Your scrip coordinator is notified of your payment and your gift cards will be delivered when your order is released by your coordinator. Contact your scrip coordinator for exact delivery timing. You can still pay your organization via check, and will have the option to select your payment type each time you order, during the check-out process. Reload If you are signed up with Presto Pay, you can reload many of your favorite cards instantly, without having to place an order through the school. There are 47 companies that are available for reload! SCRIPNOW! is the quickest way to purchase scrip for you or a friend. You can order for yourself or send an eGift in seconds for various retailers. ScripNow! can be delivered and used in minutes simply by using PrestoPay, or pay by check and the items will be released by your coordinator. This is great if you are planning a last minute purchase or if you are doing a home improvement project. If you have any questions, I can be reached at girouardpaula@comcast.net or 978 667-3657. Thank you for your support - Paula Girouard & IACA.